Begins June 1st - Bookmark it! Speed Faction wants you to enter as often as you like for a chance to win a customized 2000 Audi S4 Quattro vehicle worth more than $20,000! 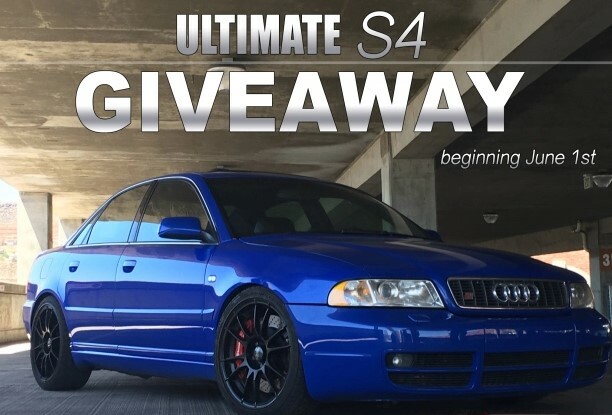 One (1) Grand Prize: One used (1) 2000 Audi S4 Quattro. Total value $20,926. HINT: You can earn unlimited entries for purchases you make above $5 on their website OR you can get up to 200 FREE entries by mailing them in 5 at a time via regular postal mail. See the rules for details. This Sweepstakes ends on 12/31/16 and you can ENTER AS OFTEN AS YOU LIKE to win.